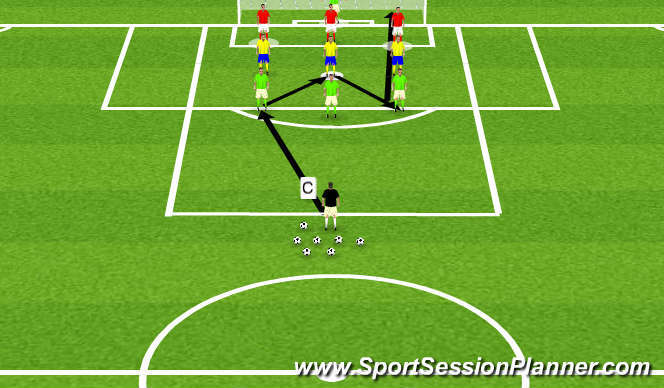 Quick attacking patterns of play on edge of the box, change passing and finishing combinations. Coach feeds the ball in two teams play together one team defends. 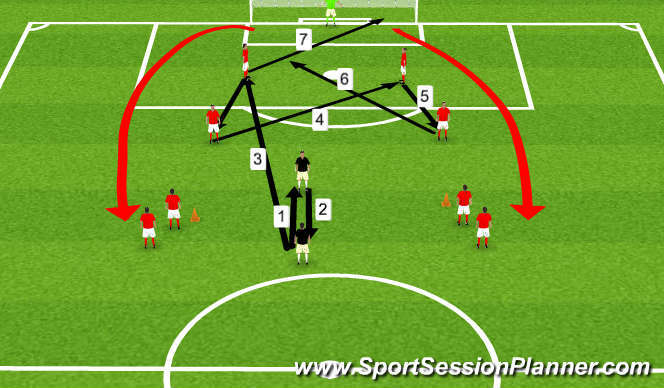 Team must play quickly and must complete 3 passes before they shoot. 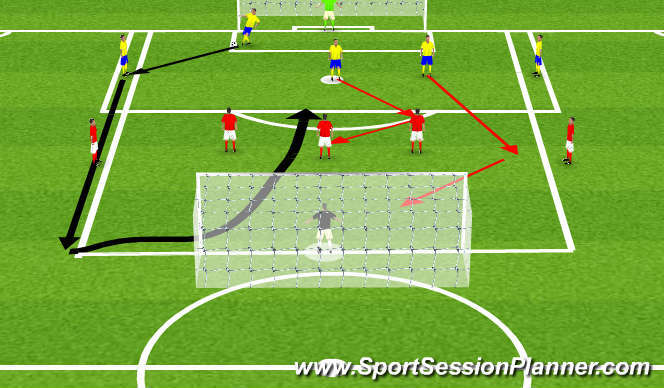 If the defensive team intercepts then play into the coach. Team that loses possession, defends.